Happy New Year, everyone!!! Fact: The closest I came to dieting in 2017 was when I deleted some of the food photos from my phone gallery. I’ll admit, when I’m talking about dieting here, I’m almost never talking about weight loss. What I am talking about is the way diet totally effects how we feel. I’m here to tell you that skinny vegetarians can feel like crap too. Take it from me. I’m also here to tell you that big girls can be amazingly fit. Case in point: this fierce yogi. So, with less of an emphasis on weight, nutrition and health take center stage. 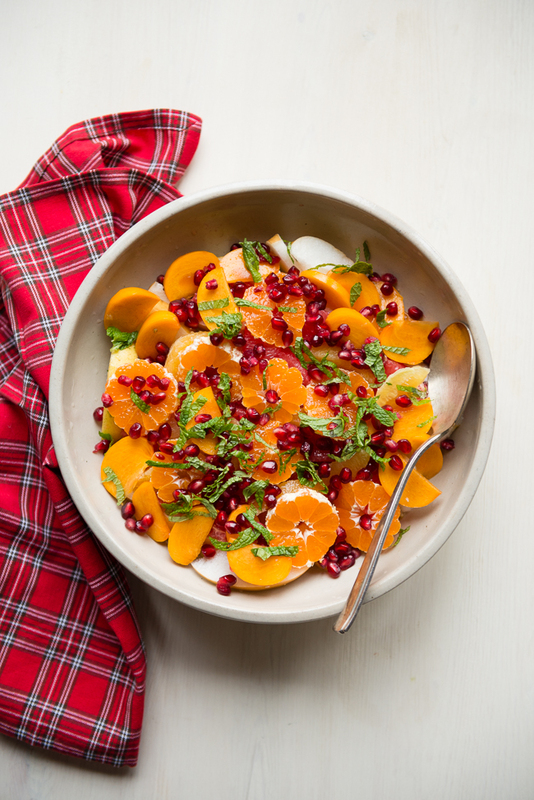 This year, we can expect to see some super nutritious additions to last year’s growing list of healthy food trends. I don’t know about you, but I’m totally ready! Seriously, after a steady diet of cake, sweet, sugar, pastry, and cocktail since Halloween, I’m determined to start this new year off right. Let’s take a look! Whole Foods just released their annual report on food trends, giving us a clue as to what we’ll be seeing a lot of this year. Plant based products, floral flavors, mushrooms (anyone ready for a mushroom coffee?! 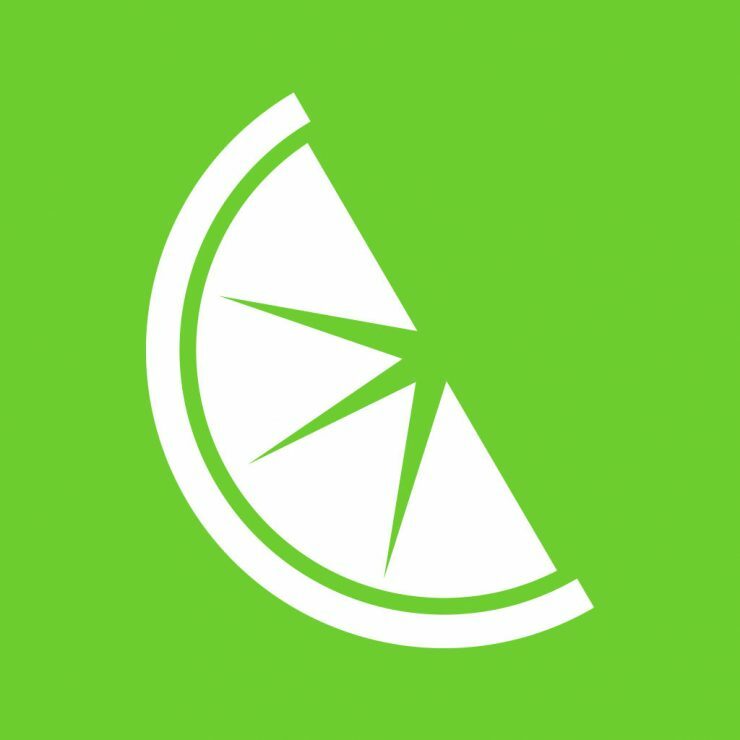 ), airy snacks like jicama crisps, root to stem recipes (zero food waste, hello! ), and both Middle Eastern (mmm, Halloumi Burgers) and Filipino cuisine are all set to have a huge impact on 2018. Last year, while I was in Stockholm, I had one of the best lattes ever, y’all. I went to this coffee shop called Snickarbacken7 in the Norrmalm neighborhood. Anybody that knows me knows that me ordering a latte is always a production. Vanilla soy latte, one pump of vanilla and light on the foam. I’m trying to buy coffee, not air bubbles and simple syrup. Does that make me picky? Anyway, Snickarbacken7 didn’t have any soy milk, and I was so over almond milk and coconut milk lattes the second I tried them. The barista offered me an oat milk latte instead. YOOOOOOO!!! Oat milk is absolutely amazing. Creamy, subtly sweet, and easily my new favorite dairy alternative milk. 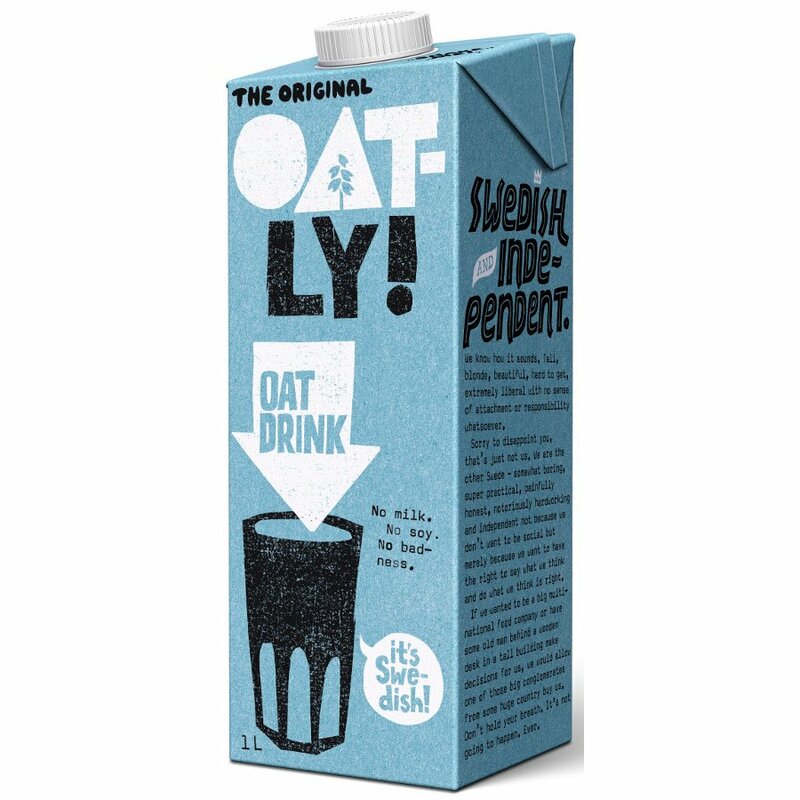 Look for the Swedish company Oatly to hit US shelves in February. Move over, matcha, Make Room for Moringa. While matcha has made it’s rounds in everything from lattes to must-have beauty products over the last few years and while it doesn’t show signs of stopping, get ready to see a lot more moringa. Moringa is made from the leaves of the moringa tree, a plant native to Southeast Asia and parts of Africa. 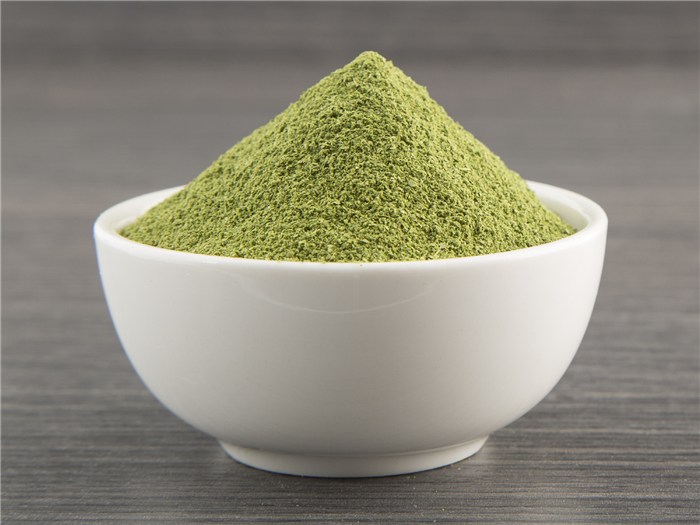 The leaves are dried and ground into a powder that has a deliciously earthy flavor, not so different from matcha, but with comparable anti-inflammatory properties to turmeric. This year, you’ll see moringa in smoothies, nourishment bowls, health bars, and even lattes. Moringa powder is readily available on amazon making it easy for a home cook to experiment with it’s unique flavor. In 2017, our Instagram feeds were flooded with delicious Instant Pot creations. 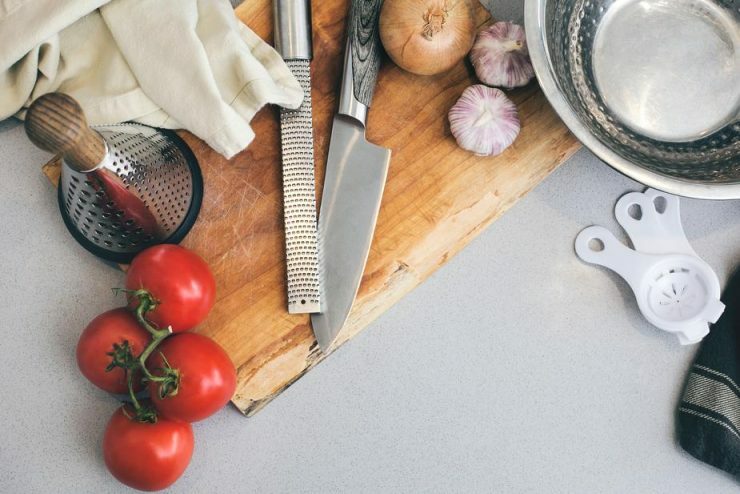 That versatile little kitchen appliance combined the capabilities of a pressure cooker, steamer, slow cooker, and skillet into one convenient device. The Instant Pot gave us healthy meals in a fraction of the time, using a fraction of the energy. What it didn’t give us was fried food. Um. We need fried food. Enter the air fryer. What sets fried food apart is that familiar crunchy texture we all love. What makes it unhealthy is the loads of oil we have to use to get that tasty crunch. The air fryer remedies all of that by evenly circulating air around your temptation of choice, giving you that fried food comfort without all the guilt. These gadgets aren’t exactly new, but more and more companies are joining the trend and offering more affordable options. 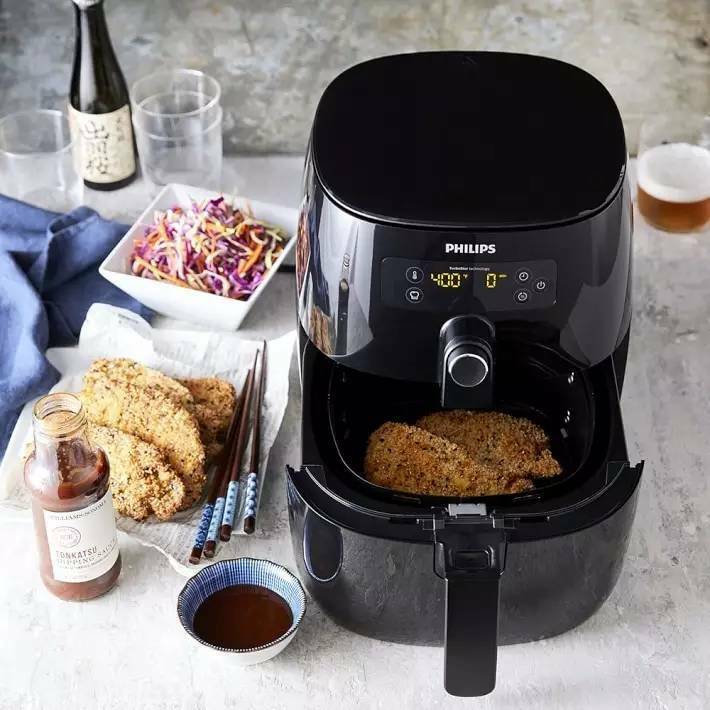 If you wanna go for broke because fried food is your happy place, you can opt for the pricier, latest version of the Phillips Air Fryer. A more frugal version is yours for under $100 here. I’m so excited for this year! You guys! 2018! Can you believe it? I’m pretty bad at all those get fit, over-haul-your-diet kind of New Year’s resolutions. I’ve decided, instead, to end this year on a healthy note. Kind of a tall order considering Christmas cookies and New Year’s drinks, but I’m pretty determined to get a jump on all the healthy promises I make to myself come January 1st. The thing is, I like sweet and yummy. Is that a crime?! I think not. 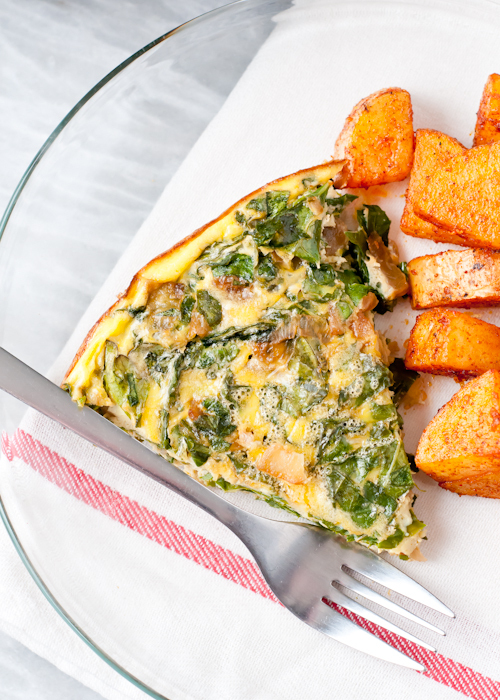 These recipes will have you thinking you’re in the Matrix because they’re so damn good, and so good for you. This is not a dream, Neo, it’s just Christmas brunch. You must try this! Butter a baking dish generously. In a large bowl, whisk together the eggs, milk, coffee, vanilla and spices. 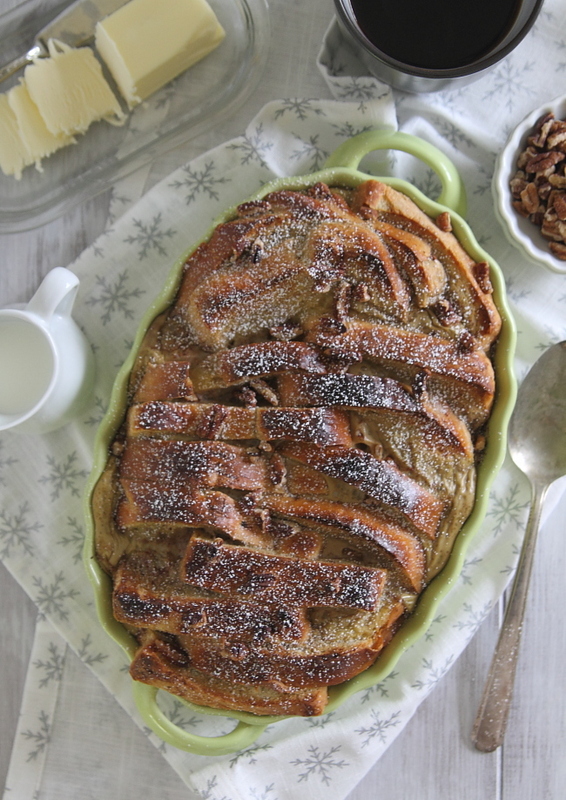 Arrange the bread in the baking dish in a staggered (staircase-like) manner. Pour the liquid over the top of the bread, fully coating each piece. Take the plastic wrap off the baking dish and spoon whatever liquid has not been absorbed over the tops of the bread. Sprinkle the nuts and brown sugar on top and bake for 35-40 minutes until the liquid is cooked and the tops of the bread are starting to turn golden brown. You can broil for 1-2 minutes at the end for an even more toasted look. Remove from the oven, garnish with powdered sugar if desired and serve warm with maple syrup and butter. 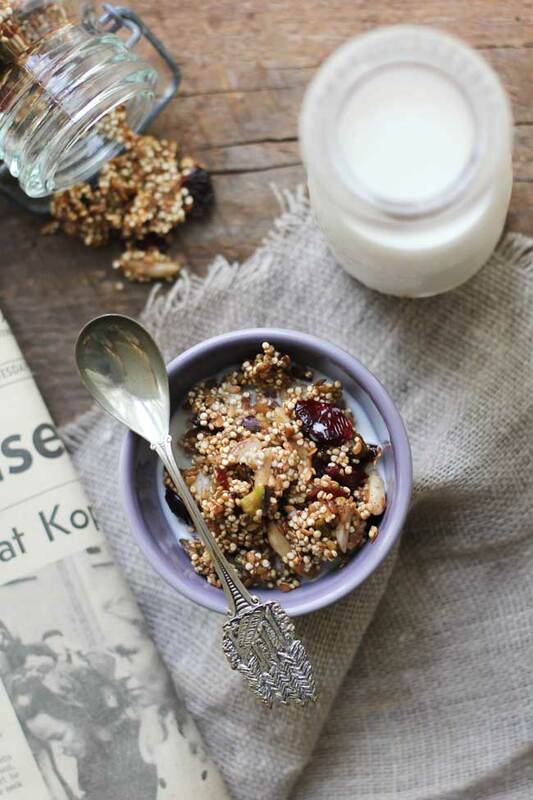 In a mixing bowl combine the quinoa, almonds, pistachios,and flax seeds; stir well. Heat the maple syrup and the coconut oil in a small microwave-safe bowl on high for 20 seconds. Stir in the cinnamon, and salt then pour the wet ingredients over the dry and toss to coat. Spread the quinoa mixture in a thin layer overthe prepared baking sheet. Bake for 20 minutes or until golden brown, stirring twice during the cook time. Add the chopped cranberries during the last 5 minutes of cook time. Cool completely on the baking sheet, as it cools the granola will harden and begin to clump together. When cooled break up any large pieces of granola into small clusters and store for up to 2 weeks in the refrigerator. Preheat oven to 400°F. Wash the kale well, dry and rip into pieces or cut into ribbons. Add the garlic and kale to the pan along with a little water to keep the kale from sticking to the pan. Continue cooking and season well with salt and pepper. Rules are made to be broken. Avocados are totally a summer staple, but who says you can’t enjoy them year round? My love affair with this tasty green fruit kind of begins with avocado toast. I have literally made and devoured every possible avocado toast recipe you can think of. There’s nothing more satisfying, wholesome, and downright delicious. True, avocado toast gets a lot of hype. Tom Brady and Gisele Bundchen dressed up as avocado and toast this Halloween, fitness experts swear by the nutritional properties of the mighty avocado, and there’s certainly no shortage of avocado toast recipes floating around the internet. Many of those recipes though are your basic run of the mill take on avocado toast as a Summer treat…salt, pepper, a squirt of lemon juice. Totally delicious, but what if you’re a daredevil, an avocado rebel like me? 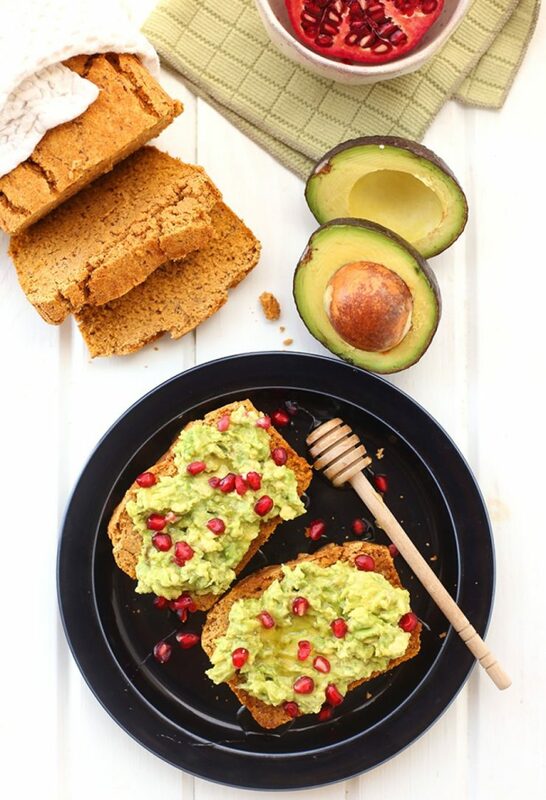 Say no more, these avocado toast recipes are just what you need. You must try this!!! 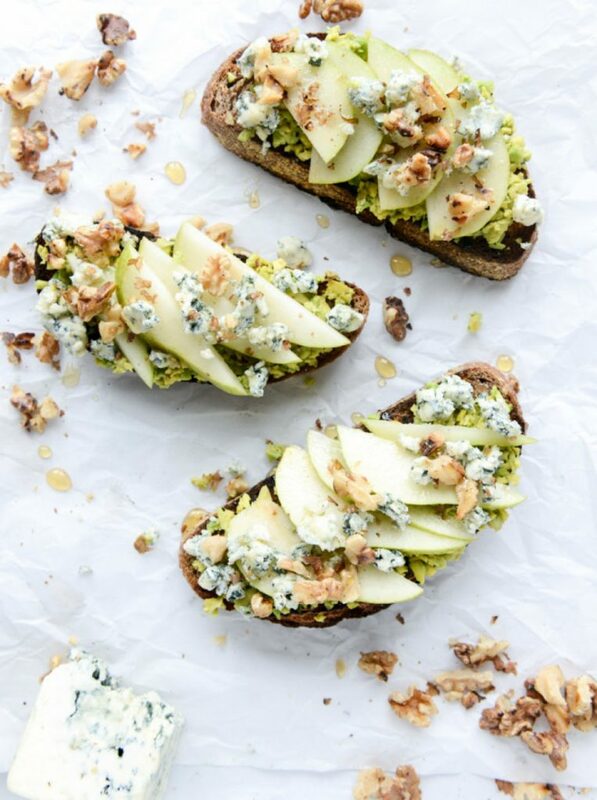 Pears, crumbled gorgonzola, walnuts, honey and cinnamon. Yes. It’s as delicious as it sounds. Find the recipe here. 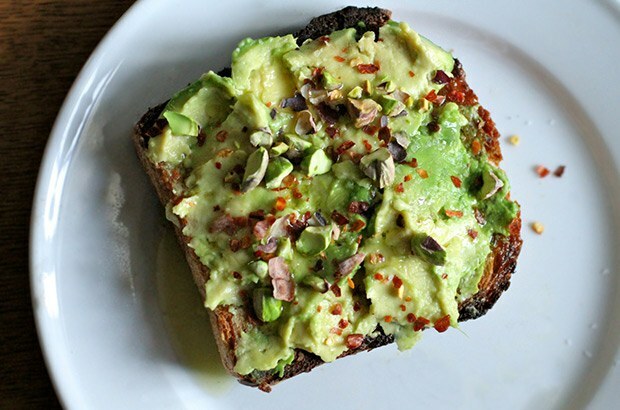 Sometimes the easiest way to change of your avocado toast is by changing up the toast. Swap out your usual bread for cornbread. You’re welcome. Find the recipe here. 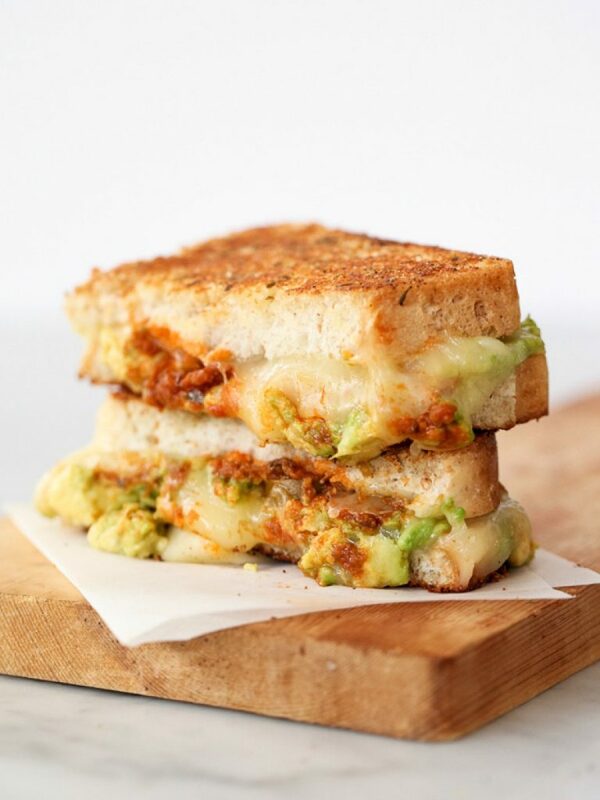 For those colder Autumn days when you want to spice things up a bit, this recipe, like your classic grilled cheese, goes great with a bowl of hot soup. Find the recipe here. 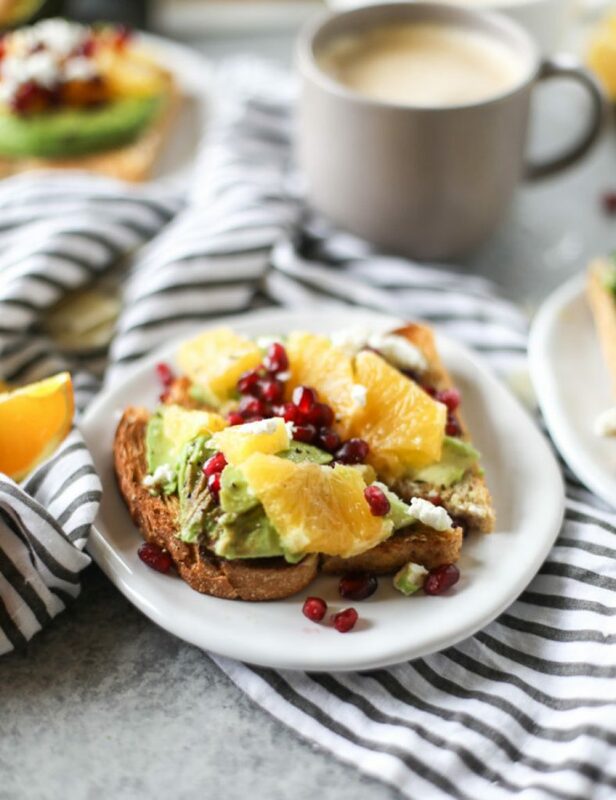 A little bit sweet, a little bit salty, a little bit tangy, and a lotta bit creamy, avocado paired with orange and pomegranate is a match made in Heaven. Find the recipe here. 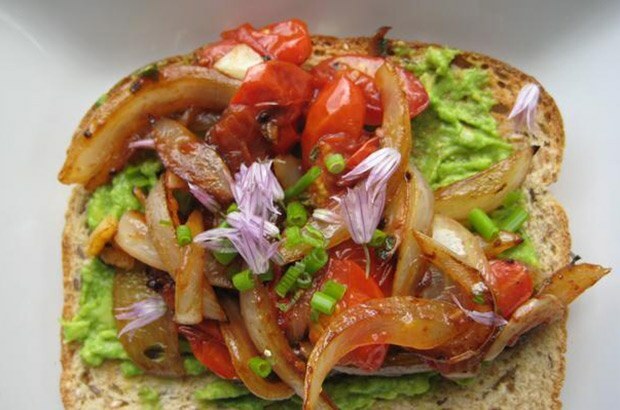 If you’ve never added onions to your avocado toast, this is the perfect recipe to start with. Find the recipe here. You said you’re a daredevil, right? Don’t be shy about the chili flakes on this one, you won’t be sorry. Find the recipe here. My fight against low energy rages on. I’m pretty sure the key to feeling energized isn’t in the massive amount of coffee I drink (what a wonderful world that would be). The key to getting your groove back is in a balanced diet, staying hydrated, and exercising. We’ve all gotten that memo. When I’m eating right, drinking lots of water, and exercising regularly, my body just feels better, ya know? I am absolutely determined to find that fountain of youth, y’all. As always, ambition gets the best of me, and I go totally extreme in my efforts. So this happened. I spent a long 5 days on a liquid diet, and maybe after you read this you will too. Hear me out. I should tell you again that I’m not one of those people that lives to eat. I’m more like one of those people that eats to live. 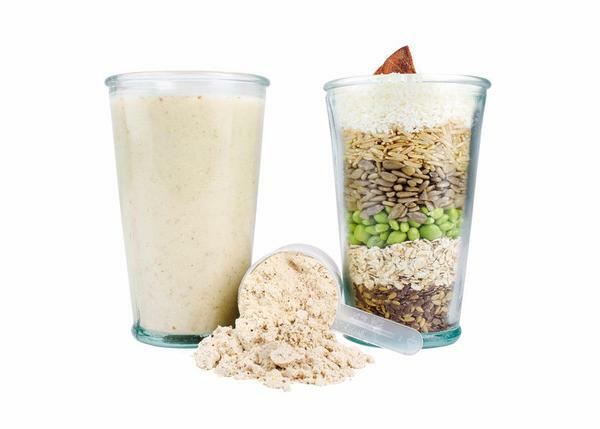 The idea of meal replacement shakes doesn’t send me running for the hills, though I tend to avoid them because of all the toxic additives that many of them contain. Then I discovered Huel. Huel is a nutritionally complete powdered food that contains all 26 essential vitamins and minerals, proteins, essential fats, carbs, fiber, and phytonutrients without all the chemical additives. I mean, they bill themselves as the future of food. Lofty claim, right? But hey, it’s vegan, it’s sustainable, it’s cost effective, it’s time saving, and you get a free t-shirt with your first order. So I thought, why not give this stuff a try. I’m an all or nothing kind of lady. I figured if I was gonna try Huel, I was gonna try Huel, straight up, no chaser. I mixed the powder with nothing but water for the first 3 days and ate nothing else. Seeing is how I’m one of those people that eats to live I figured I wouldn’t miss food all that much. I was wrong. I’m gonna be bluntly honest here. 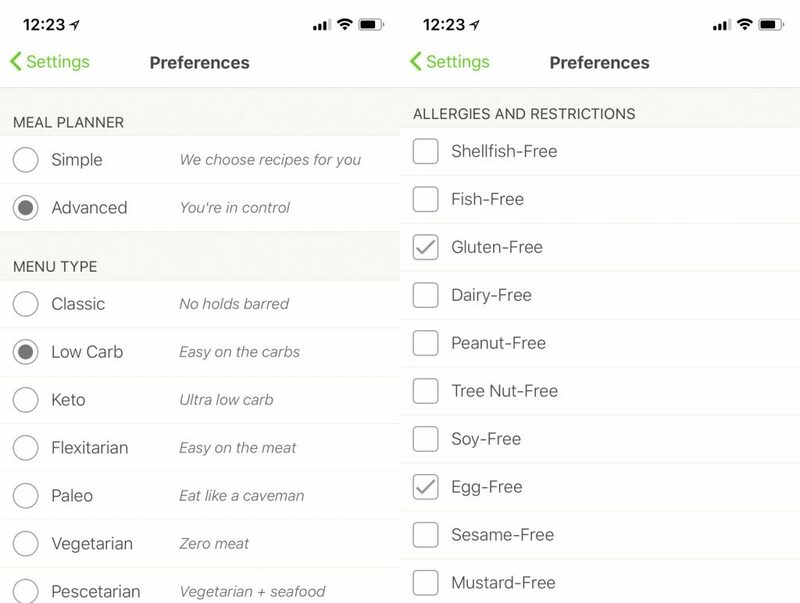 Huel tastes like…well, imagine this: you take food, then you subtract flavor, texture, and go ahead and get rid of all that makes food indulgent or delicious in any way until you’re left with nothing but science. Then you’ve got Huel. 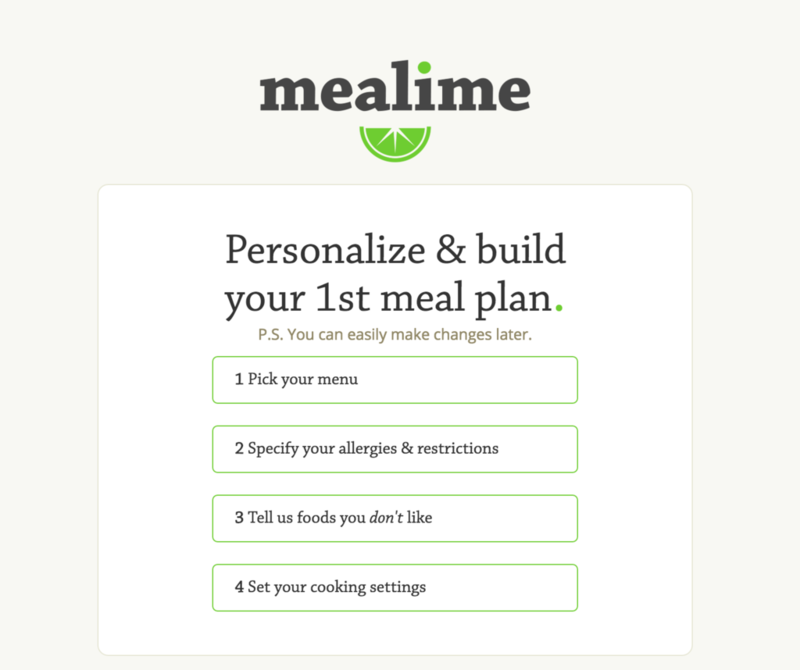 Ok, so I’m totally exaggerating, but if you’re expecting the future of food, think again. I will admit, however, that the taste isn’t offensive at all (it actually has a kind of oat taste to it) and the texture isn’t so bad either, but I did find myself missing food. As for my energy level, to be honest, I felt really good. I haven’t felt hungry at all and I was able to keep up with my daily yoga without feeling overly tired or strained. Full disclosure: I abandoned the whole just water thing after the first 3 days, and opted for breakfast smoothies with Huel. Best decision ever. These smoothies have been down right tasty. 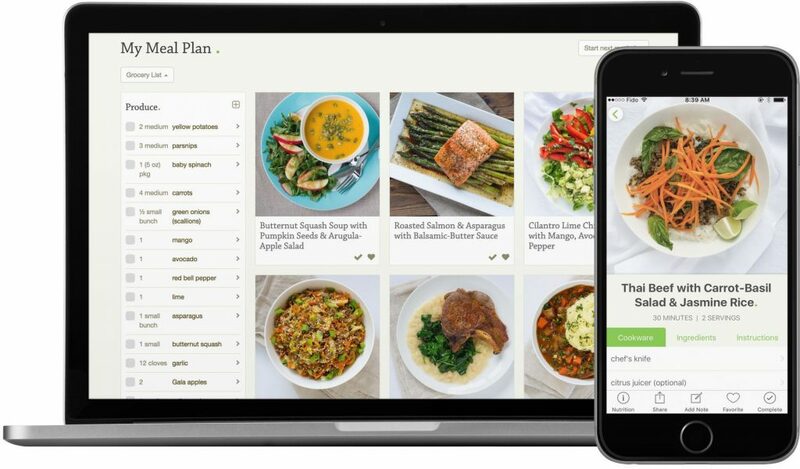 You can even cook with Huel, baking it into a healthy cookie recipe, or even a savory stove top dish. 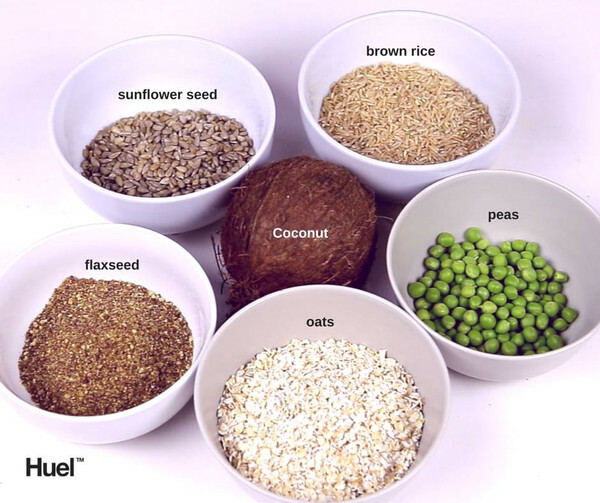 The website offers a variety of recipes that include Huel, so there’s that. Anyway, Huel is definitely worth a try. 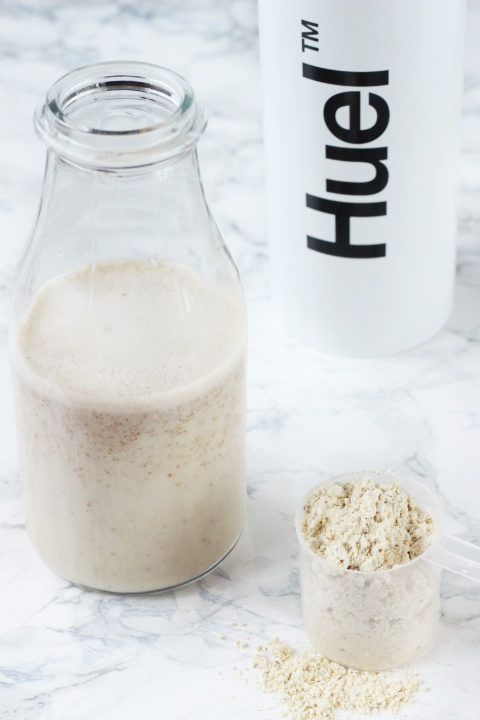 If you’re looking to improve your diet, increase your energy level, maintain a healthy weight, or even drop a few pounds you should give Huel a go. Check out the video below for a look at a fabulous kitchen, a beautiful man, and some tips on using Huel.